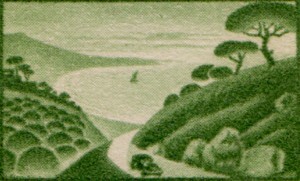 fig.1 – The only two subjects used for the series of eight stamps issued to promote tourism. 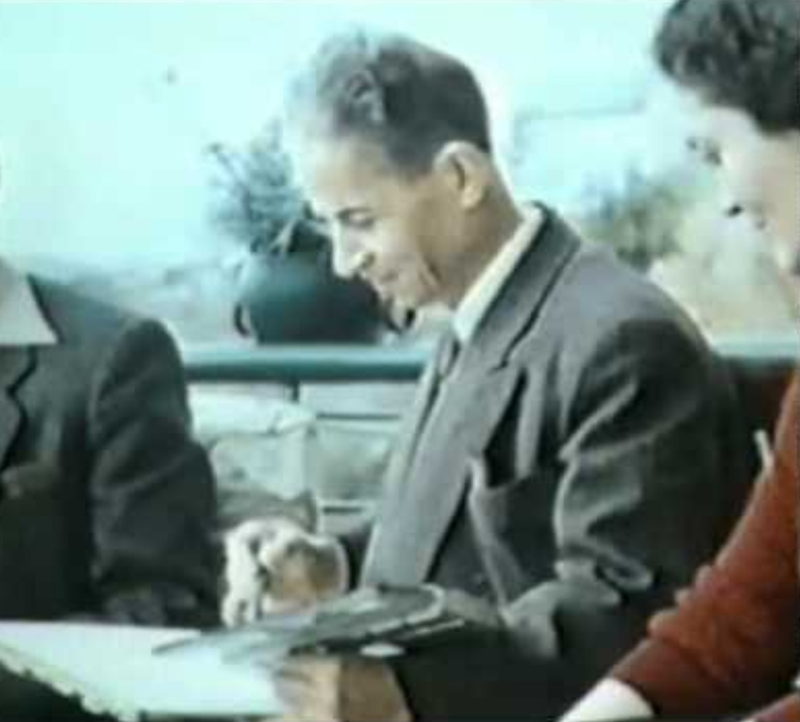 At the left the work of Farrouk(h) and on the right that one of Philippe Mourani, descriptively more challenging but less successful by the compositional point of view. For Farroukh it came to take up the theme to him more congenial: the landscape (fig. 2). 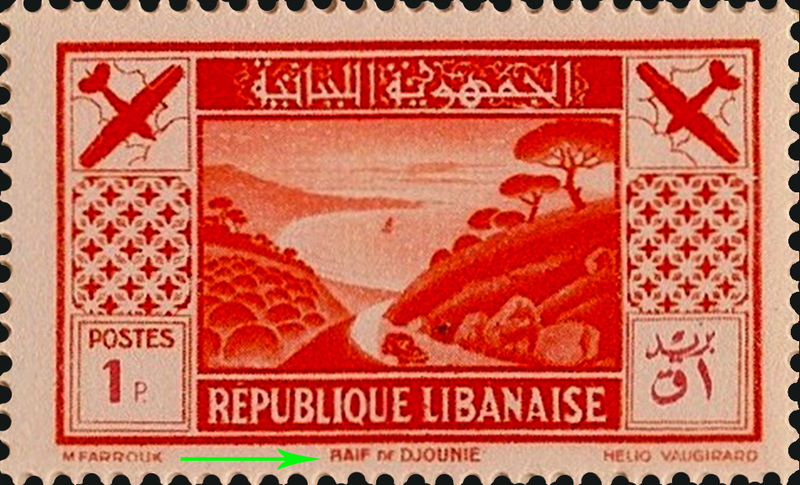 And in fact the result is masterful, making this stamp the most beautiful stamp ever issued in Lebanon, in my humble opinion naturally (fig. 3). 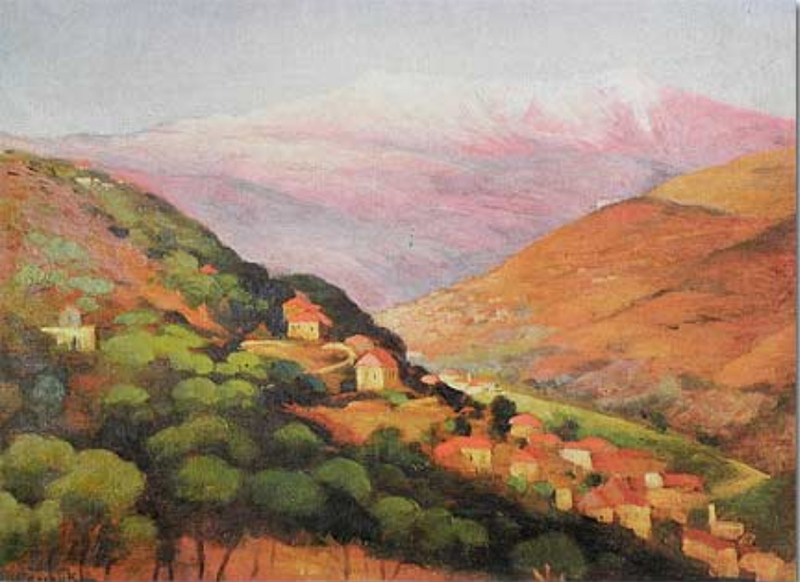 fig.2 A typical landscape painting by Farouk. fig.3 Enlargement of the central part of the 3 Piastres green stamp. Reading the catalog Yvert, we deduce that the stamps of this issue were sold with surcharge, although this is not clearly mentioned on the stamps. But it is plausible if we take into consideration the few envelopes and postcards franked with these stamps. 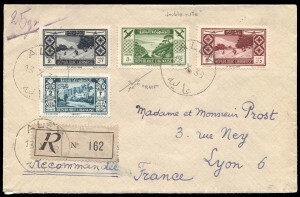 The final designs of the subjects of the stamps were delivered to the French print house Helio Vaugirard for to be transferred on the plates for the photo-engraving, the new technique of which the Parisian company was forefront at the time. 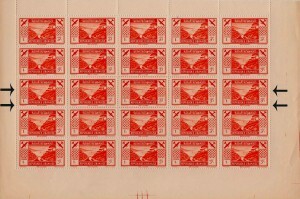 From the main matrix is obtained a horizontal row of five “carryovers” of the print, which vertically reproduced five times, constitute the gummy plate served to print the sheets of twenty-five stamps (fig. 4). fig. 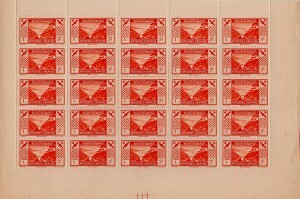 4 – The complete sheet of twenty-five stamps of 1 Piastre. 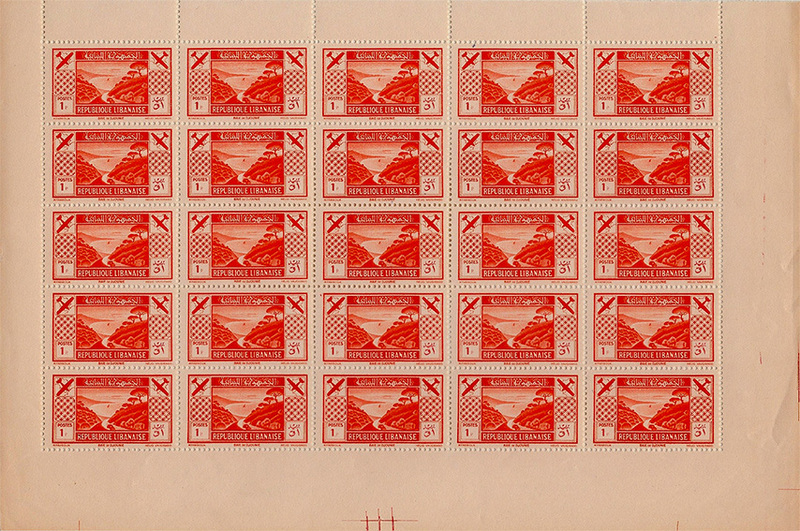 But during the plate reproduction of the third row, the middle row, the bottom of the composition of five stamps was “lost” for a height of about ¼ of a millimeter. 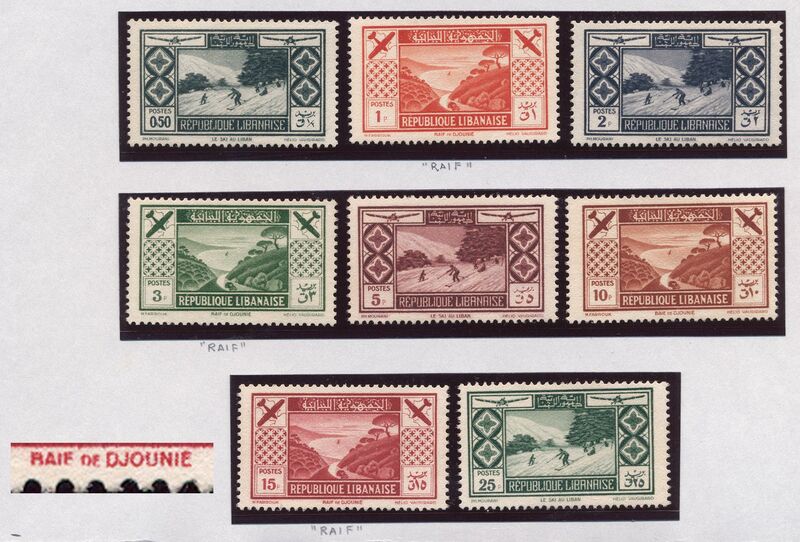 The size seems ridiculous, however this provoked a curious and interesting transformation of the lower engraved text: “BAIE DE DJOUNIE” was turned into “RAIF DE DJOUNIE” for the loss of the lower “B” and “E” parts (figures 5 and 6). fig. 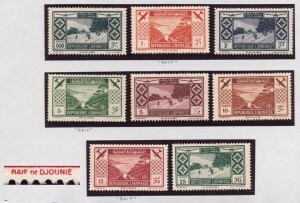 5 – One stamps of the central row with the characteristic “RAIF” error. fig. 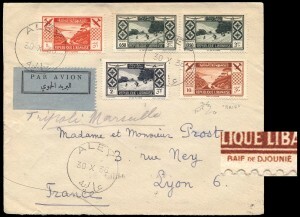 6 – The complete sheet of 1 Piastre with the “RAIF” error on the five central stamps row. Courtesy of Mr. R.B. This error is known to all four values of 1, 3, 10 and 15 Piastres (fig. 7). 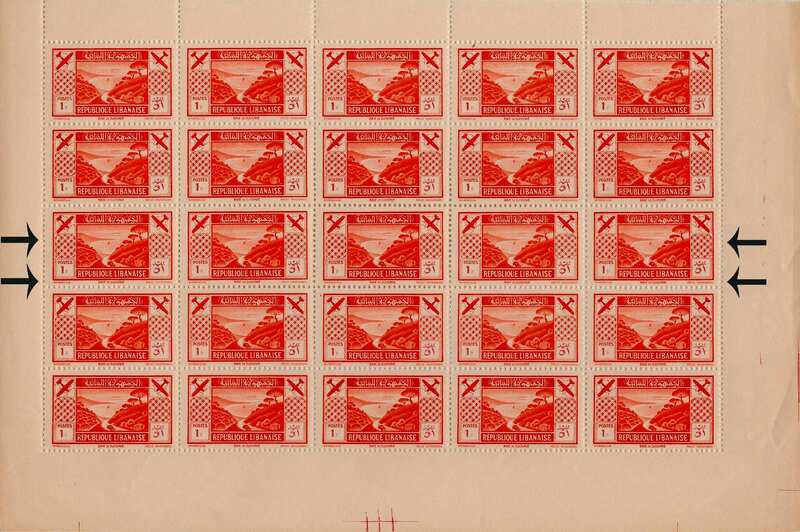 Find them on envelope becomes difficult but not impossible, those sent on cover are very few, to which to add the ratio of normal stamps and those with error is of 1 on 5 (figures 8, 9 and 10). fig. 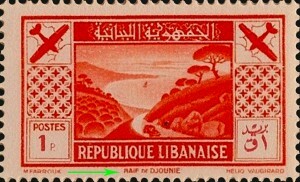 7 – The 1, 3 and 15 Piastres stamps with the “RAIF” error. fig. 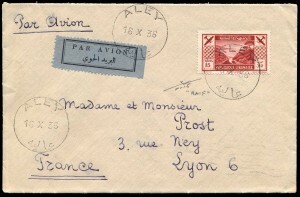 8 – The 10 Piastres stamp with the “RAIF” error and other normal values used on air mail cover sent from Aley on 30/10/1936. fig. 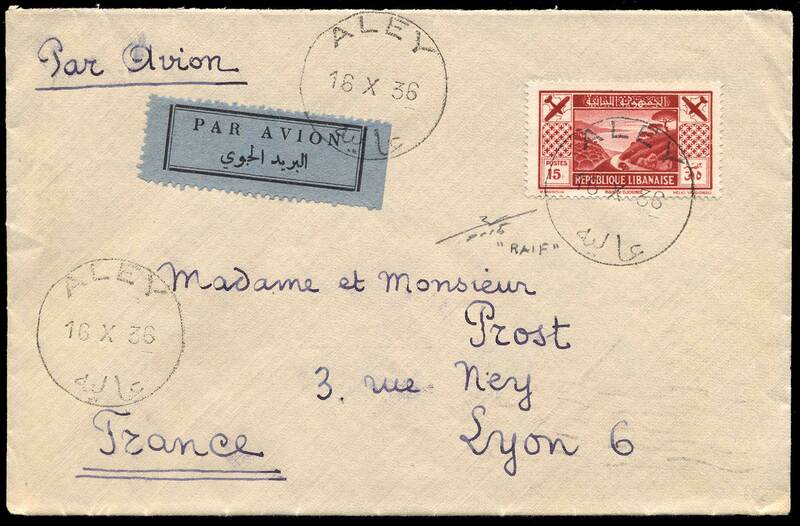 9 – The 15 Piastres stamp with the “RAIF” error (is the most rare value) used solo on air mail cover sent from Aley on 16/10/1936. fig. 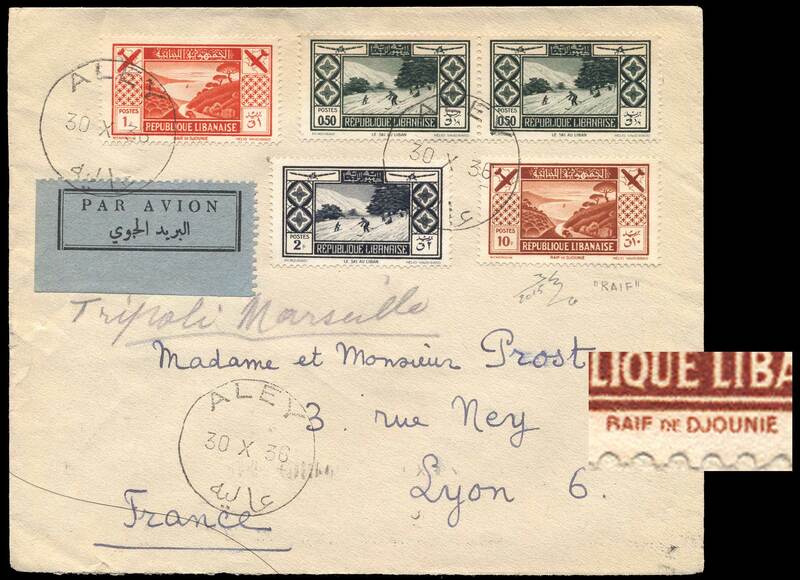 10 – The 3 Piastres with the “RAIF” error and other normal values used on a registered cover sent from Aley on 13/10/1936. I would add a great “good catch”.